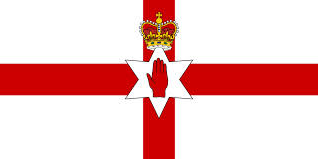 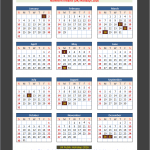 Check the 2016 public holidays in Northern Ireland of UK. 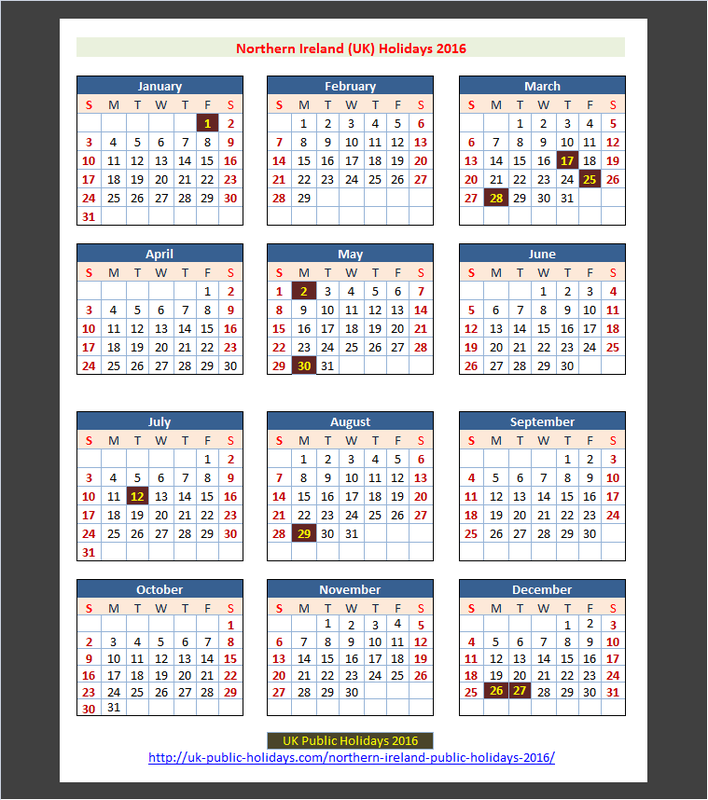 Also see the 2016 public holidays calendar for Northern Ireland. 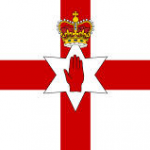 Check the 2016 public holidays dates for St Patrick’s Day, Good Friday, Easter Monday, Early May bank holiday, Spring bank holiday, Battle of the Boyne, Summer bank holiday, Christmas Day, Boxing Day etc in Northern Ireland.